We can support your body before, during, and after a pregnancy, and increase your chance of conception. We can support your body before, during, and after a pregnancy. 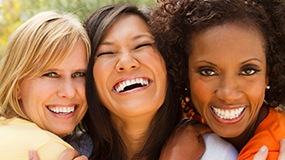 We work in conjunction with Bay Area Reproductive Doctors and Centers to optimize your success. 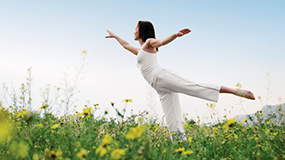 Balance can be achieved through Acupuncture, Chinese Herbs, and Nutritional Guidance. 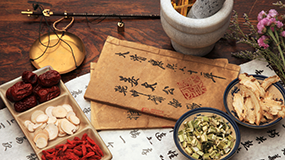 Traditional Chinese Medicine can help to manage chronic conditions so you can achieve optimal health. Nurture Acupuncture is a Traditional Chinese Medicine clinic dedicated to wellness with a expertise in fertility treatment and women’s health. Whether you seek assistance overcoming fertility obstacles, supplementing an IVF or IUI cycle, supporting a pregnancy, eliminating chronic pain, or treating a particular medical condition, our staff will help you identify the cause of your problem to successfully treat and cure your illness. Our protocols are individualized and tailored to your specific needs. They include the use of acupuncture, Chinese herbs, reproductive organ massage, pregnancy massage, nutritional guidance, preventative medicine, and advanced diagnostic testing. We work closely with many Bay Area fertility centers and can partner with your Western physician to successfully treat and cure your condition. Free 30-Minute Consultation for NEW Patients! This was my second pregnancy and no issues in my first pregnancy. At 35 weeks, I was diagnosed with high blood pressure or pre-eclampsia. My doctor gave me a special diet and wanted to put me on blood pressure medication. I decided I would try acupuncture and see if they could control my swelling and blood pressure with herbs and acupuncture instead of medications. I worked with Dr. Shyu and he gave me herbs and acupuncture twice weekly. I went back to my doctor appointment one week later and the doctor was surprised how my condition had changed. He assumed it was the medication he prescribed and I didn’t have the courage to tell him that I did not take it and instead did acupuncture and herbs. I thank Dr. Shyu and the Nurture staff tremendously for helping me have a safe and medication free pregnancy. Acupuncture positively regulates the glucose and lipid metabolism in patients with type 2 diabetes. The use of acupuncture during an IVF cycle can reduce the amount of gonadotropins needed and increase the pregnancy rate from 25% to 70%, when compared with cycles that do not utilize acupuncture. Acupuncture can down-regulate the levels of testosterone and estradiol, improve the development of ovaries and uterus, promote ovulation, enhance endometrial receptivity, and advance blastocyst implantation. Chinese herbs can increase the quality of oocytes, improve morphological scoring, and increase fertilization rates and cleavage rates. The use of acupuncture can adjust the endocrine function and adjust FSH, LH, Estradiol, and Progesterone and thereby stimulate ovulation. Combining IUI with Acupuncture can increase your chances of conceiving by 65.5%. Women with polycystic ovarian syndrome can benefit from acupuncture as it can increase blood flow to the ovaries and help reduce the symptoms of PCOS. The use of acupuncture with an IVF cycle increased pregnancy rates by 65%.